This kit includes a full, safe, and sterile skeleton in every pellet. Every pellet in this innovative kit is manufactured. 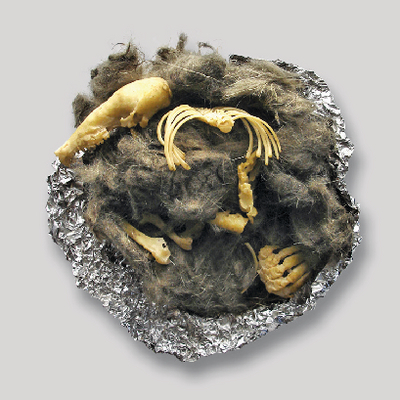 The appearance is realistic, but the skeleton contents are replicas, and the pellets were not produced by owls. The pellets are consistent in size and shape with the bones for a complete skeleton. Students can fully reconstruct the skeleton to identify the owl's prey. The kit informs teachers of the contents of the pellets, so they can better test student knowledge. Three types of pellets are offered—mole, rodent, and bird. 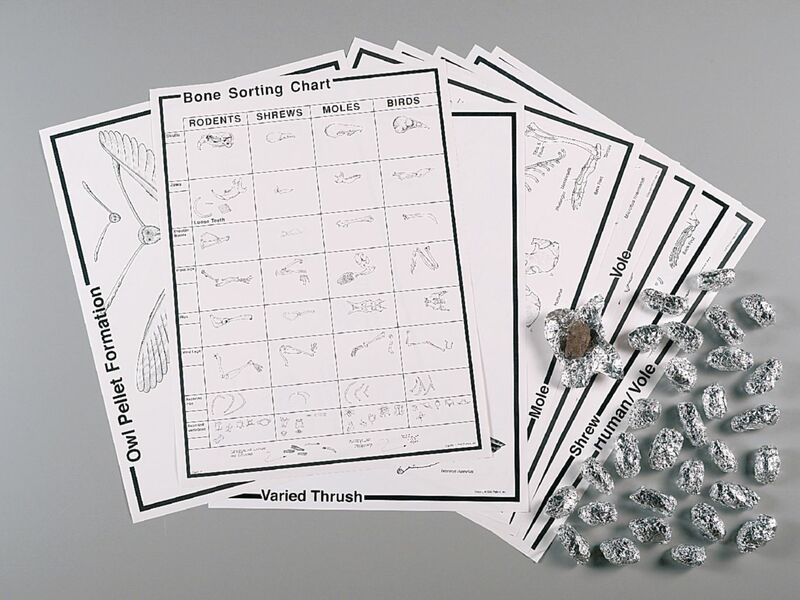 Ordering information: The Classroom Kit contains 15 large pellets (five of each kind), a teacher's guide with skull keys, a guide, background information, and five posters: a food web, rodent skeleton, mole skeleton, bird skeleton, and bone sorting chart. The Deluxe Kit includes 30 large perfect pellets (10 of each kind), the teacher's guide, all five posters offered with the Classroom Kit plus a human/vole comparison chart, and 15 bone sorting charts for individual student use. Caution: Caution:This product has small parts. It is not for children under three years. CHOKING HAZARD.